These are the cutest little bunnies! I just love to sit and watch the displays at the toys store. 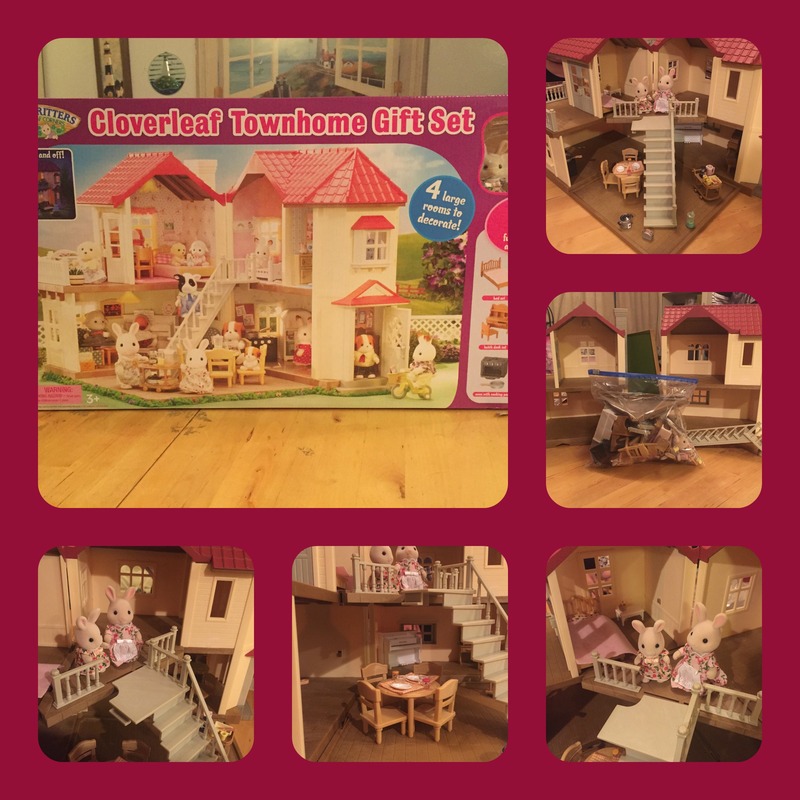 I was beyond excited when I was asked to review this great Cloverleaf Townhome for Calico Critters! The critters are awesome, but this townhome, I think I want to move into! The Cloverleaf Townhome has everything a child could want in a house for their friends. It has a backyard grass area, a piano with the bench, all of the kitchen things including a toaster with bread! I was impressed with the details! All of the little parts and bits made this a unique toy for kids. They did not miss anything. The roof looks and feels real the doors open and close as do the windows. The dining table even has placemats for the plates! There is a stairway, that is pretty sturdy for your critters to get to the second floor, and you can put it in different places according to they way you want it set up. Even the lights turn on and off! You do need to put batteries in it and the door for the batteries closes with a screw, and as much of a pain that is for the parents, it is essential to keep kids safe. There are a ton of little parts to this, their imagination will be going for hours with all of the things included. At 3, this is Destini’s first dollhouse and she is overjoyed with it. One of the best features I found was that if you bought the Cloverleaf Townhome you do not have to buy anything else, it even included two critters so that you can play right away! That is important, I think sometimes you get a toy and then you have to buy five more pieces before your child can even play with it. I love this toy. I love the looks, the durability, the ease of assembly, and I love how detailed it is, Calico Critters did not miss a beat when they made this, every little thing was thought out and implemented. 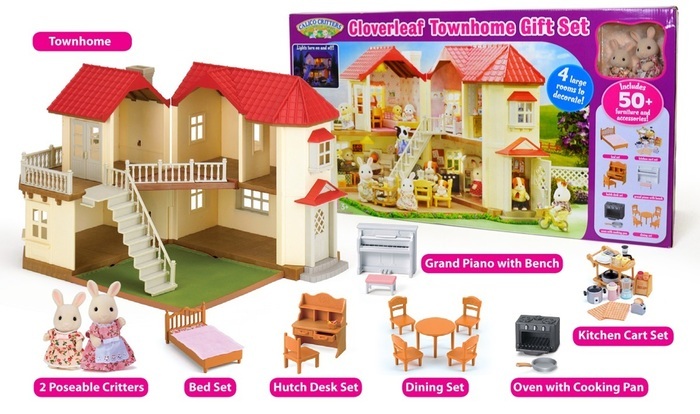 Calico Critters is even offering my readers a special discount on this Cloverleaf Townhome Gift Set, just go HERE, put it in your cart and then put in promo code MILE for a $20.00 savings! I cannot wait to buy things for this townhome! Calico Critters is also sponsoring a giveaway for our readers. Keep your eyes out and enter to win your very own!